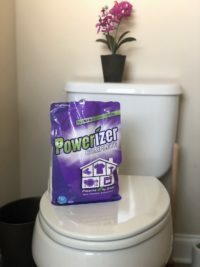 This product was provided in exchange for an honest review. This salve comes in a pretty glass jar and has a very pleasant, natural scent. 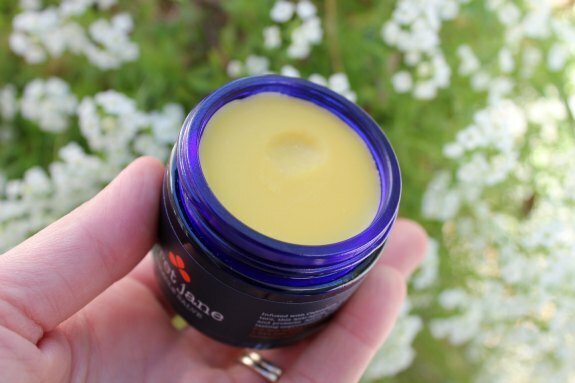 The salve is easy to apply – I just take a little out with my fingertip and rub on the affected area. It smooths on easily as it warms up to your skin. My daughter has eczema and sensitive skin in general, so it is nice to find something to help treat her skin. She tends to get flareups and spots that bother her more than usual, and this is a great spot treatment, especially when she creates scratches on her skin that have a tough time healing (because she tends to keep scratching at it). The other week my youngest had a spot on her face that was itchy, then turned into a scab, which she continued to scratch. We used this on the spot and I even snuck some on her cheek while she was sleeping. The salve helped soothe the irritated skin and allow it to heal. 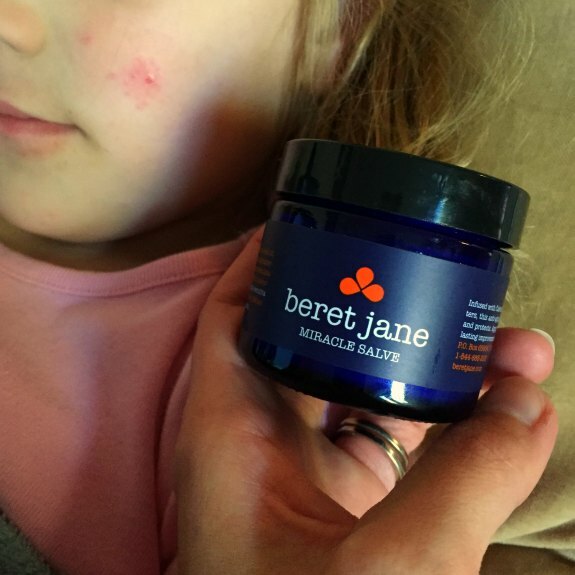 I love that Beret Jane Miracle Salve is all natural, and safe for the whole family. There are so many great ingredients in this product that make it so versatile and effective. 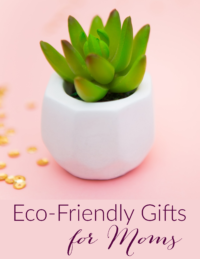 Has no petroleum or synthetic ingredients. It does not clog pores. It allows skin to breathe. Jojoba oil, a liquid wax that dissolves sebum, improves the condition of acne prone areas. Contains the strongest calendula extract in the world. This calendula extract looks like black tar; a tiny smear of it on something white is brilliant orange. It is one of nature’s strongest skin healers. Contains rich butters, oils, and waxes that intensely hydrate, heal, and protect the skin. It absorbs beautifully and does not leave skin greasy. Contains lavender and chamomile, which heal, soothe, and provide an anti-inflammatory effect. No SLS or Stearic Acid. No artificial preservatives (organic rosemary extract serves as antioxidant, which naturally preserves the salve). The ingredients are all natural and most are organic as well. Olea europaea (olive) fruit oil, Simmondsia chinensis (jojoba) seed oil, Theobroma cacao (cocoa) seed butter, Apis mellifera (beeswax) wax, Butyrospermum parkii (shea) nut butter, Mangifera indica (mango) nut butter,Citrus reticulata (tangerine) peel oil, Citrus sinensis (organge) peel oil, Lavandula angustifolia (lavender) flower oil, Calendula officinalis (calendula) flower extract, Chamomilla recutita (matricaria) flower extract,Rosmarinus officinalis (rosemary) leaf extract, Helianthus annuus (sunflower) seed oil. What a fantastic product! I love that I can keep this in the medicine cabinet and have it on hand for so many uses, and that it is safe for the whole family. 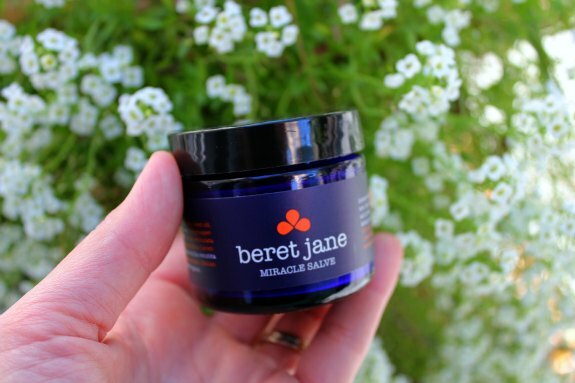 I highly recommend this Beret Jane Salve as a great all-natural product! Follow them on Facebook, Twitter, Instagram, and Pinterest.